Learn what tile size and style may work best for you and how the size, colors, & design of tiles can affect the look of a room & its perceived spaciousness. Tile floors are a beautiful, durable material for homes of all sizes, styles, and eras. However, when it’s time to decide what tile size to use, questions start to abound: Do larger tiles tend to make a small room appear larger? Or will the large tile size backfire and actually make the room appear smaller? Installing tile is an investment of both your time and money, and your tile floor will last for many years. Obviously, you want to make sure you’re happy with the results. So, let’s explore this question in depth so you can determine what tile size may work best in your home. With tile flooring available in a wide variety of sizes – from tiny glass mosaics to huge porcelain pieces – your choices for home design are nearly endless. But, if you do a little homework, you can add the illusion of space to your room with some careful tile choices and well-planned interior design. The concept of “space” in interior design is closely related to visually unbroken spaces, and using tile to make your room appear to be larger is closely married to this design concept. The most important thing to remember throughout your design process is that simplicity is the key to making your tiled room look larger. Monochrome tiles are tiles that are in limited shades of a single color. Large monochrome tiles provide the perfect material to create a visually unbroken floor (https://helmii.com/collections/mattress). Just about any room will appear more spacious when the floor is set with large monochrome tiles. Tile in sizes of 18 to 24 inches are easily available and large-format tiles also have a high-end look, which can make your room seem larger and more elegant. Keep in mind though, these larger sizes could be way too much in very small spaces, like mudrooms or laundry rooms. Designing your floors with intricate tile patterns should also be avoided as well when you wish to create the illusion of a wide, open space. Pro Tip: Using large tiles means very few grout lines, and these lines can be concealed by setting the tiles close together and carefully matching the grout color to the tile. Another benefit of fewer grout lines is that your tile floor will be easier to clean and reseal. Believe it or not, very small tiles – such as glass or stone mosaic – can make a room look large as well. Because the tile is small and the resulting grout pattern is very dense, it can take on a monochromatic look and be a very effective, alternative way to making your small room look bigger. The key is setting the tile using just one color with a design that is simple and clean. Vast areas of the same color will give you the optical illusion of additional space that you’re looking for. Long, narrow tiles can also add a feeling of space to your room. Long plank tiles that are designed to look like wooden flooring can create an illusion of length, based on the direction that the tiles are oriented. These “wood look” tiles are an excellent choice for combining the warm look of wood with the durability of easy-care tile. Other types of plank tiles can also be used to create unique patterns, such as a herringbone or chevron designs. However, as a potentially very busy, ornate design, it is important for it to be monochromatic with a carefully matched grout. If not, these zig-zag patterns could actually backfire and make the room look smaller. Setting large tiles on an angle can also be an effective way to create an optical illusion for a larger room. The diagonal orientation can make a narrow room look wider, as the eye will perceive the tiles – and therefore the room – as larger than they appear. However, in many cases diagonal tiles are set inside a tile border. This can make your room look smaller, so avoid the borders if your end goal is a spacious room. Another effective way to create a feeling of space is mixing the sizes of tile. Again, staying with a monochromatic color is key. The random block or Versailles pattern is a pleasing style that incorporates several different sizes of tile into a repeating or non-repeating pattern. The variety is satisfying to your eye, and it also tricks your eye into seeing the space as larger than it really is. Your choice in tile colors is a biggie and will also have an impact on the feeling of size. Light tile colors tend to make a room look larger, and a glossy tile finish may reflect more light and contribute to an open, airy look. Although tile in a dark, rich color can provide the illusion of depth, it will generally make your room appear to be smaller. Of course, the end result ultimately depends on the other elements in your room and the way in which your decor is arranged. With many available choices in the world of tile, trying to make a decision can be absolutely overwhelming: colors, sizes, patterns, and so on, and so on! Wanna visualize the way your room will look before you lay the first tile? You can upload a photograph of your room to an online tool to see what different sizes, patterns, and colors of tile will look like in your room. Many different online tools are available like this one, and they are usually offered by both tile manufacturers and retailers for free. Setting large tiles with small grout lines can be a challenging job for an amateur tile setter. Large tiles can be more difficult to handle, and they can also be difficult to set perfectly level and square. While this is not a project for an absolute DIY beginner, many seasoned DIYers can successfully lay their own large tile floor with a little instruction and patience. Many of the tiles may need to be cut to fit. If you going to do it yourself, a wet saw that has a platform extender to accommodate large tile is a “must-have” tool. A second person to help you handle the tile will also make the job much easier. Substrate is a fancy word for the subfloor material, or the underlayment that is laid down first to support the tiles. Large tiles require a carefully leveled floor substrate and one of the most effective substrates available are cement backerboards, such as Hardiebacker, Fiberboard, etc. If the tile is not fully supported by the structure of the floor, it can become vulnerable to cracking. Also, if your floor is very uneven, an uncoupling membrane can provide waterproofing and substrate support for your tile. 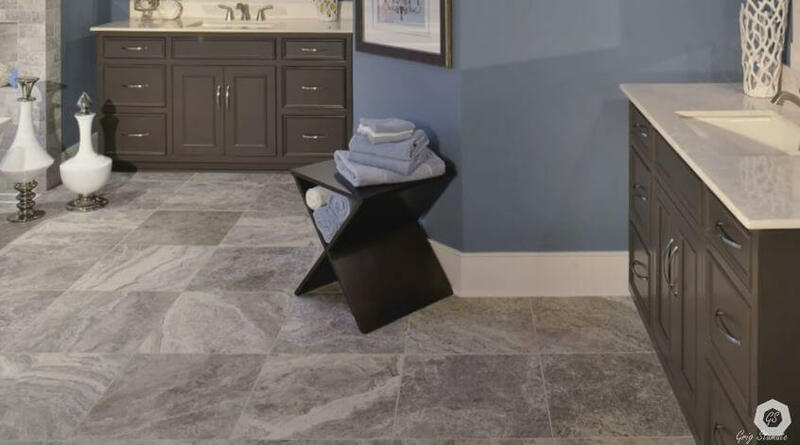 With so many different types of tile from which to choose, you are certain to find beautiful tile that will enhance your home and make your rooms look more spacious. When planning to install tile as a DIY project, make sure you have the tools you’ll need to complete the job with efficiency, especially when working with large tiles. 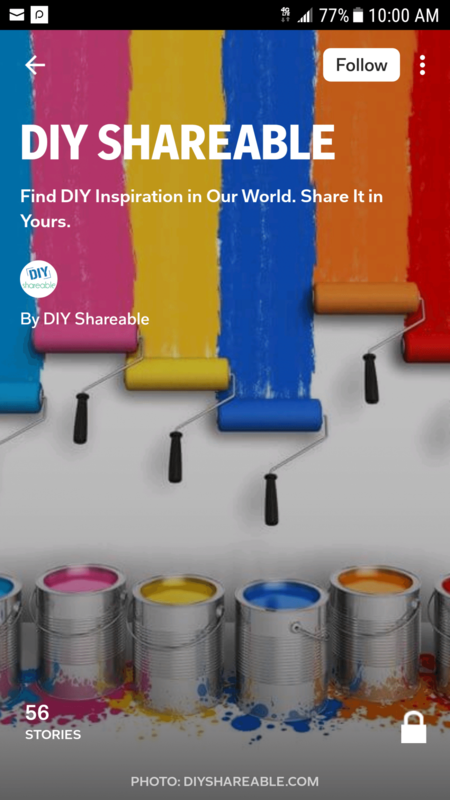 • Take a photo of your room and use a free online design tool to make your tile choice. • Evaluate your DIY tools, substrate and skills before tackling a large-format tile installation project. • Remember to work with light, monochrome colors and matching grout. • Consider setting your tile in a diagonal pattern to make your room look expansive.